A BOUTIQUE BEAUTY SALON IN THE HEART OF DARWIN. This refreshing 35 minute corrective treatment boosts your skin’s micro-circulation and metabolism to lift those deep-rooted problems and creates immediate glowing, plumped skin, without redness afterwards. We recommend a full course of 4 weekly treatments for long term results. OFFER AVAILABLE TO 30 APRIL 2019. Ageing, Dehydration, Impurities, Pigmentation and Sensitivity. Building on the Discovering New Skin Facial, we add an Enzyme Peeling exfoliation and a nourishing Skin Massage. The biomimetic enzymes remove dead skin cells and allows your skin to feel smoother. For all skin types. The personalising of exfoliation with Phyto-enzymes and luxurious serums to rehydrate gives your skin a real nourishing workout with micro-currents. For skins that need lift and contouring with SPECIAL CARE. This treatment will soothe and nourish all the functions of your skin while giving you a lift. Micro current infusion of prescriptive ampoule sealed in with an Algae Peel Off Mask with special actives to deeply penetrate the skin and make a difference. Collagen Fleece Masks are indicated for oily skin, dry and chapped skin, impure skin, enlarged pores, lines and wrinkles, oedema/fluid retention, pigmentation and freckles, diffused redness/dilated capillaries, pale, and lifeless skin. For demanding skins lacking elasticity and to combat expression lines and wrinkles. The radical increase in moisture from this treatment leaves the complexion youthfully smooth and supple. Male skin can now achieve its full potential with specially formulated, quality treatments and prescriptive products. Irritations are quickly soothed, and environmental stress blown away with a de-stressing and vaporising cleanse, gentle peeling and exclusive pressure-point massage. 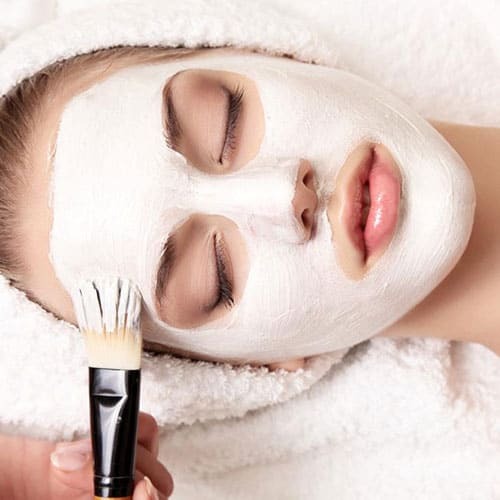 Revitalising Fleece Mask containing a highly concentrated, anti-ageing cocktail of nutrients and an invigorating massage increases the vitality and firmness of the skin. The products we use in our Teenage Skin Treatments are based on passive hydration that allows sebum, the skin’s natural moisturiser to prevent moisture loss from the skin. 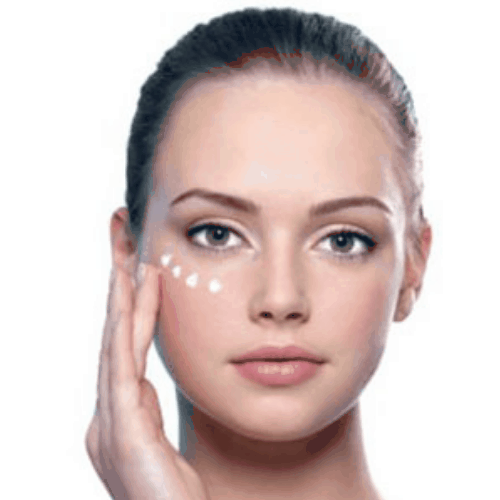 Our Teen Facials promote a clear, healthy, and glowing complexion. You will immediately feel a calming of irritation and deep clearing of impurities to rebalance the skin. If further attention is required to purify the skin, a more in-depth treatment is performed to not only lift impurities but to decongest and clear impurities. Alex Cosmetics Herbal Aktiv Peel is a successful proven natural peeling method for skin regeneration going back over 50 years! In just one session, this 35 minute treatment will make a visible difference to your skin. It’s a great lunch time pick-me-up with no visible redness afterwards. Refreshing corrective treatment to boost your skin’s micro-circulation and metabolism to lift those deep-rooted problems. Provides immediate glowing, plumped skin. This treatment is a real luxurious way to create that WOW! Factor and treat your skin at the same time. Refreshing way to boost your skin’s micro-circulation and metabolism. Provides immediate glowing, plumped skin. The power of the herbs is used to firm, freshen, tone and detox. The effects of the Phyto treatments are similar to microdermabrasion, without impairing the acid mantle. Imagine glowing, clear and fresh skin in just 5 days. The unique skin resurfacing treatment based on natural botanicals designed to speed up the cycle of skin renewal, improving the appearance of your skin. Our Body treatments are designed to promote relaxation and wellbeing. Ideal for impure and problem skin on the back to rebalance and smooth the skin. A deeply invigorating and oxygenating skin exfoliation combining Marine Sea Salts and Coconut with exotic tropical scents to gently smooth the skin. A soothing and invigorating massage to promote deep relaxation and release tension. 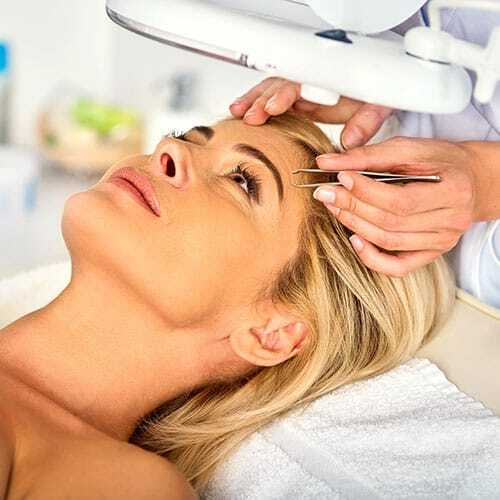 There are many modalities for hair removal we will help you choose a modality to suit you and your hair growth. We perform two methods of removing hair with the strip wax and the ultra-flexible hot wax. The sweetest hair removal method! Up-to-date version of Cleopatra’s Gold, based on middle eastern recipe contains only water and sugar, no chemical fragrances or colouring additives. Electrolysis uses electronic energy. A tiny needle is inserted into the hair follicle where the undesired hair growth occurs. A current is passed through the needle to the cell responsible for the hair’s growth and destroys the cell. Intense Pulse Light Therapy has become extremely popular in the past few years due to its reputation for speed and efficiency. Results for Intense Pulse Light Hair Removal have been proven to be most effective for people with dark hair and light skin. Includes Welcoming Warm Foot Soak and Hot Towel Treatment. Accentuate the natural shape of your brows with careful waxing, trimming and tweezing to create balance. Eyebrow tinting adds the desired depth of colour to your brows to enhance your individual features. Eyelashes will look longer and thicker to create the effect of mascara. 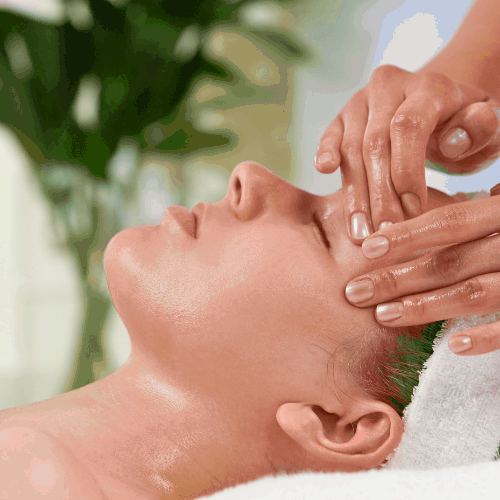 Enjoy pure indulgence, calm and total equilibrium with our signature treatments for your face, body and mind.